Like Mallory had said we had an awesome opportunity to work with Joanns and this the the Ice Skate Wreath that I did for them and I really do love it. Using hot glue and a hot glue gun, embellish the top of the ice skates with a flower and/or a variety of ribbon. Using the Floral wire combine the different picks together. Put the picks into the boot and if needed wire the picks onto the ice skate to secure. 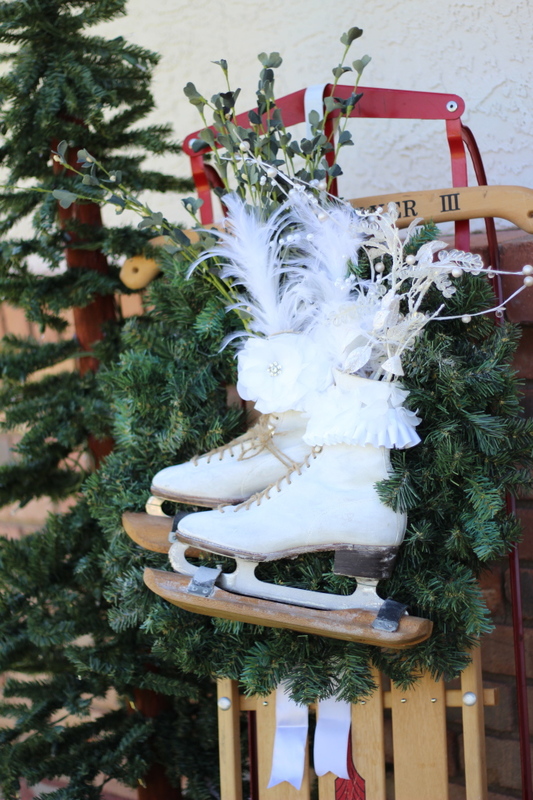 Using the floral wire secure the ice skates onto the wreath. 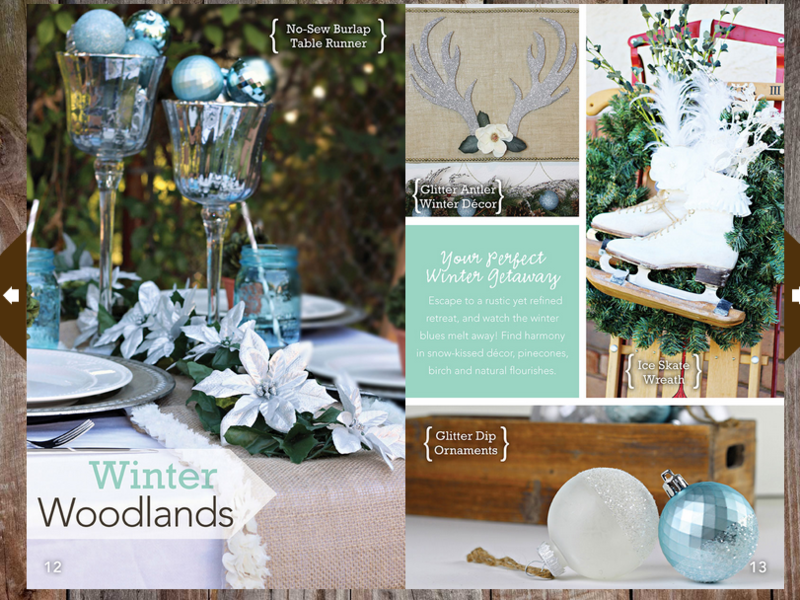 Check out these other cute projects. We will be sharing more tutorials with you soon. This is so cute! I have an old sled now I just need to get some skates and I will be set!!! Thanks for sharing the pairs. gonna buy one.